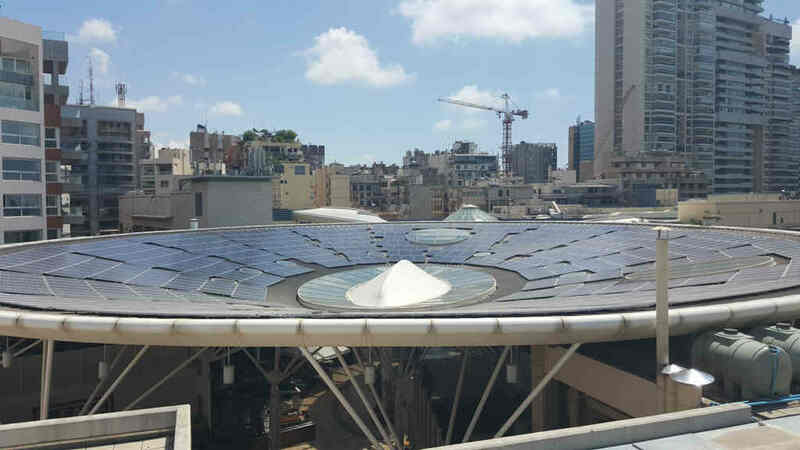 ABC Achrafieh, the most beautiful mall in Beirut, is turning into the most eco-friendly one by installing the largest private photovoltaic plant in Lebanon on ABC’s rooftop. The installation will cover up to 4,000 m2 and will provide a capacity of 0.45 MW that is enough to power ABC department store, the equivalent of feeding up to 500 houses. By doing so, ABC will reduce its need for electricity and secure free renewable energy for up to 20 years. I love the initiative and I hope others malls will follow-suit in implementing eco-friendly solutions. That’s why more and more companies and corporations worldwide are investing in renewable energies as such solutions will pay off on the long run financially and environmentally. 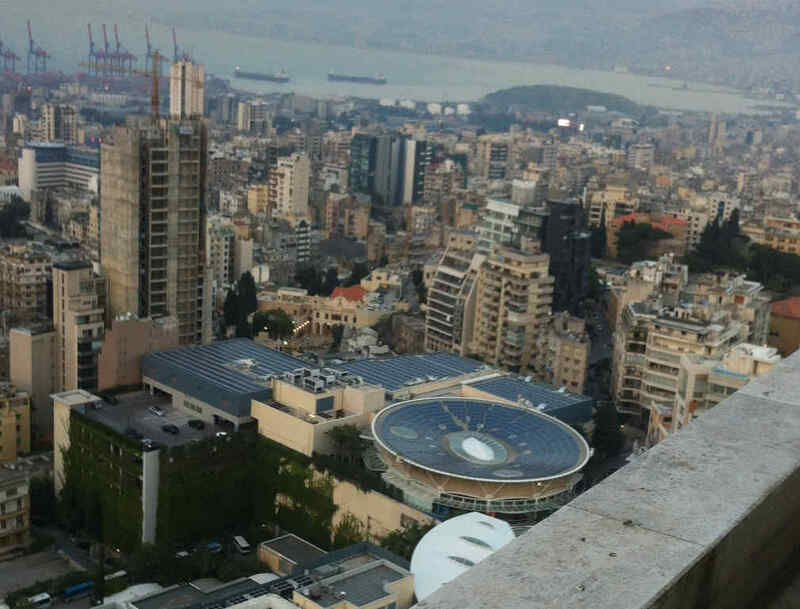 Speaking of smart eco-friendly solutions in Lebanon, The Beirut River Solar Snake is a similar project to ABC’s plant and consists of a photovoltaic farm set on top of Beirut’s river and aimed at generating 1.08 MWp to light up around 1000 houses. I’m not sure though if the farm is already operational or not, but we definitely need more government-drive initiatives such as the BRSS. 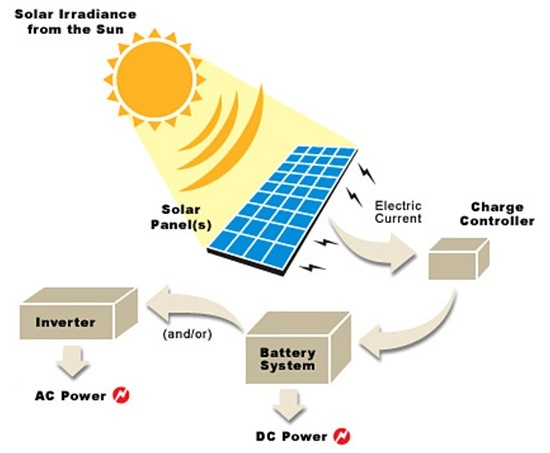 Photovoltaic (PV) cells are made up of at least 2 semi-conductor layers. One layer containing a positive charge, the other a negative charge. Sunlight consists of little particles of solar energy called photons. As a PV cell is exposed to this sunlight, many of the photons are reflected, pass right through, or absorbed by the solar cell. I was able to visit the roof last week before anyone else and took a couple of pictures that I’m sharing here. The official reveal will take place tonight at ABC so see you all there! See Also:Oscar Niemeyer's Maarad in Tripoli Falling Apart? To call the energy free is misleading as the costs of setting up the system aren’t cheap. Over time it will pay off but it takes years. The system still needs to be maintained and updated as well. True, the light is free but the collection is anything but. Aside from that criticism I think we need to do more here on renewable and sustainable energy. It shocks me we don’t use more solar AND water collection. Investing on proper insulation will help people with energy costs and use. Thank you for the information, especially the birds eye view pictures. However, I will call this a private rooftop and not a private “plant”, since it is not intended for distribution. A plant describes the function so it could be intended for private or public use. A rooftop is a rooftop, a power plant is a “plant” that generate power regardless of who uses it. 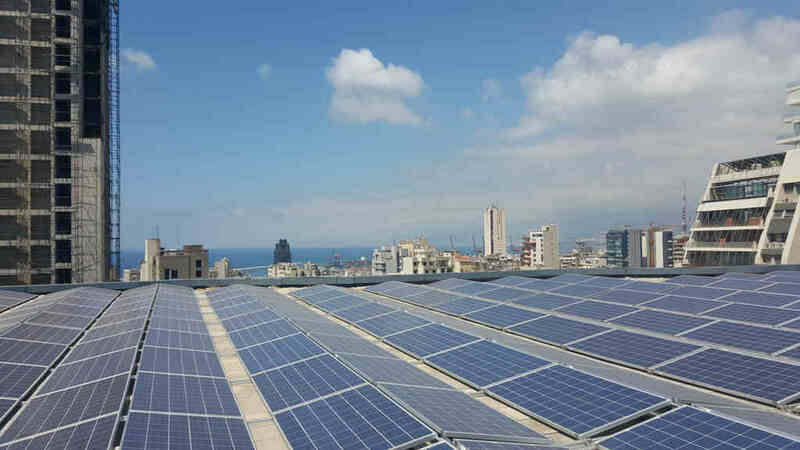 The Small Decentralized Renewable Energy Power Generation Project (DREG), currently being implemented by the United Nations Development Programme (UNDP) in Lebanon will implement similar Solar PV projects in the near future. Current payback periods can be as short as 4-5 years whereas the system will continue functioning for 20 years or more. It’s a no-brainer both from an environmental perspective and from an economical perspective. We are looking forward to partner with small businesses, corporations, and NGOs in order for them to benefit from the grant the project will provide. I wish ABC would care about their employees as much as thr environment. The employees at ABC ARE NOT ALLOWED TO SIT FOR 9 HOURS IN A ROW. SHAME!! !